We are God's creation. He fashioned and formed our original ancestors out of the dust of the ground. He molded each of us and created each of us in our mother's womb (Psalm 139:13-16). 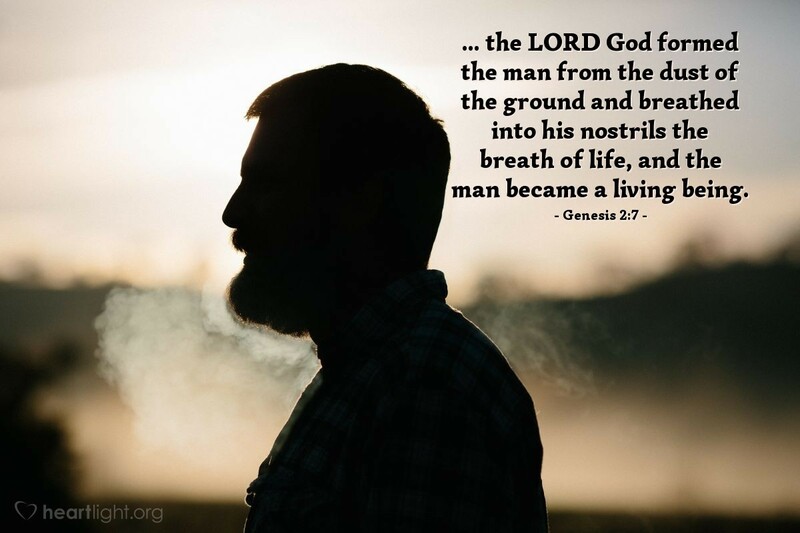 Like Adam, God fills us with his breath and blesses us with life. We are his workmanship, his artistry, made to experience life in all its fullness (John 10:10) and created to do his work in our world (Ephesians 2:10). Thank you for my life, dear God. Please don't let anyone, or anything, distract my heart from honoring you. Please do not let the evil one distort my sense of being your creation. In Jesus' name I pray. Amen.